Cannabis is by far one of the most healing plants in history. And yet, in most of the world, it remains an illegal drug. In fact, the United States Drug Enforcement Agency (DEA) has classified cannabis as a schedule 1 drug according to the Control Substance Act (CSA). This is the same classification as heroin. “Substances in Schedule 1 are determined by the Food and Drug Administration to have no medical use. States that allow marijuana for medical use or legalize recreational use remain in defiance of federal law,” explains USA today (1). There have been petitions to overturn this classification in order for more official scientific research to be carried in the United States. However, the DEA has yet to change their minds (2). Washington state officials now say that their state will defy the federal ban in order to issue growing licenses to laboratories to cultivate marijuana for studies. The plant has has positive results in the states where it’s already legalized. In fact, study published in Health Affairs evaluated the medicinal and economic impact of legalizing marijuana. They estimated that legalizing medical marijuana has helped the United States save $165.2 million in medical care costs in 2013 alone (3). Surprisingly, medical marijuana has over 150 years of recorded history and used to be a respected medicine in doctor’s offices throughout the United States. It’s estimated that epilepsy affects nearly affects one in 26 Americans during their lifetime. One-third do not respond to conventional treatment. This variety is heavily associated with severe morbidity and increased mortality (4). Children and young adults are notoriously hard to treat (5). 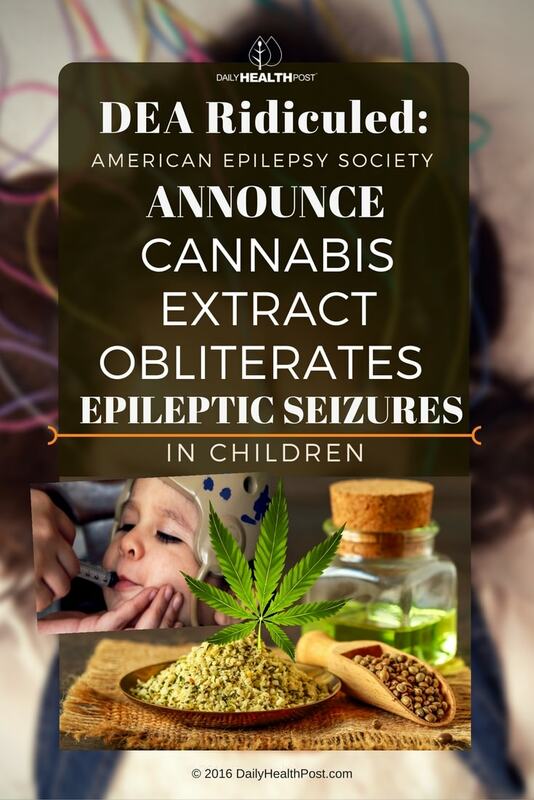 The American Epilepsy Society (AES), a medical charity in Illinois, recommends marijuana “as a potential treatment for a number of neurologic conditions, including epilepsy,” especially for patients for whom conventional treatments do not work (6). They explain that Cannabidiol, or CBD, does not have psychoactive effects of Tetrahydrocannabinol (THC). Instead, it’s the active compound in cannabis that benefits so many systems and organs, and has anticonvulsant as well as antipsychotic effects (7). At the society’s annual meeting in 2015, 5,200 neurologists, scientists, nurses and health professionals came together to tackle the issue of seizure treatment. This brought the therapeutic value of marijuana to the mainstream. In fact, no less than three studies presented at the meeting looked at safety and efficacy in the largest trial of CBD to date. Orrin Devinsky, a neurologist at New York University Langone Medical Center and lead researcher of the largest study to date of a cannabis-based drug for treatment-resistant epilepsy (8). In the study, 162 patients were treated with a 99 percent cannabidiol (CBD) extract for 12 weeks. This was given as an add-on to the patients’ drug regime. In comparison, past studies only examined about 20 patients at a time. The study had a success rate of about 36.5%, with 2% of patients becoming completely seizure free. They did, however, experience side effects like sleepiness, diarrhea, and fatigue, although none were significant enough for patients to go off the treatment. In contrast, a 2012 study of 48 people suffering from seizures not only found positive results, they also reported that marijuana had no side effects in these patients. They also noted that marijuana could be a safer and more economically viable option for people suffering from chronic conditions. Critics were quick to point out that since patients knew they were taking cannabis, it may have lead to possible placebo effects or drug interactions. CBD also has the ability to increase the potency of other drugs, which may explain these results. Charlotte, a little girl with SCN1A-confirmed Dravet syndrome, is the perfect example of how beneficial medical marijuana can be (9). She suffered from nearly 50 convulsive seizures per day before treatment. After taking Charlotte’s Web, a high cannabidiol, low tetrahydrocannabinol Cannabis extract, these numbers dropped down to 2-3 nocturnal convulsions per month. Within 20 months, Charlotte was successfully weaned from her other antiepileptic drugs. 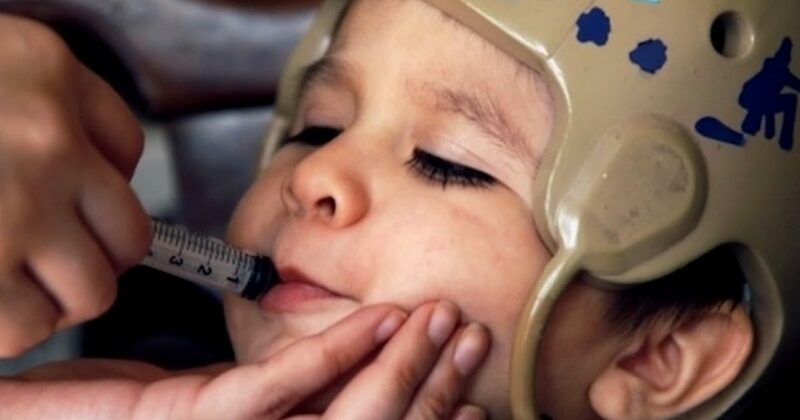 Charlotte was only 5 years old when she started taking cannabis oil. Now at 9 years old, she still responds well to treatment (10,11). It’s safe to say that the DEA has outdated beliefs and guidelines that limit the access patients have to life-saving medicine. With the growing number of studies evaluating the benefits of marijuana, it’s high time the DEA reevaluate their stance on this incredibly healing plant.